At Century Studios, our cast bronze Tiffany Lily Lamps are created in our studio using molds taken from an original Tiffany Studios example. We offer these distinct table lamps in 7, 10, 12 & 18 light versions. We currently have a 7 Light Lily Table Lamp available in our showroom. 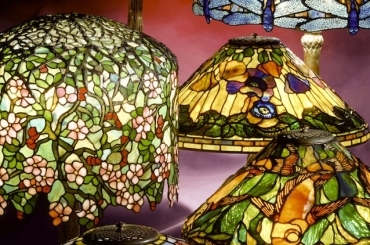 A milestone in the history of lighting design, Louis Comfort Tiffany introduced lily lamps in the 1890’s and showed the world what could be created with some imagination and an electric light bulb. This illuminated sculpture is inspired by a cluster of water lilies, with the lustre glass flowers nodding gently above the bronze lily pads and buds. 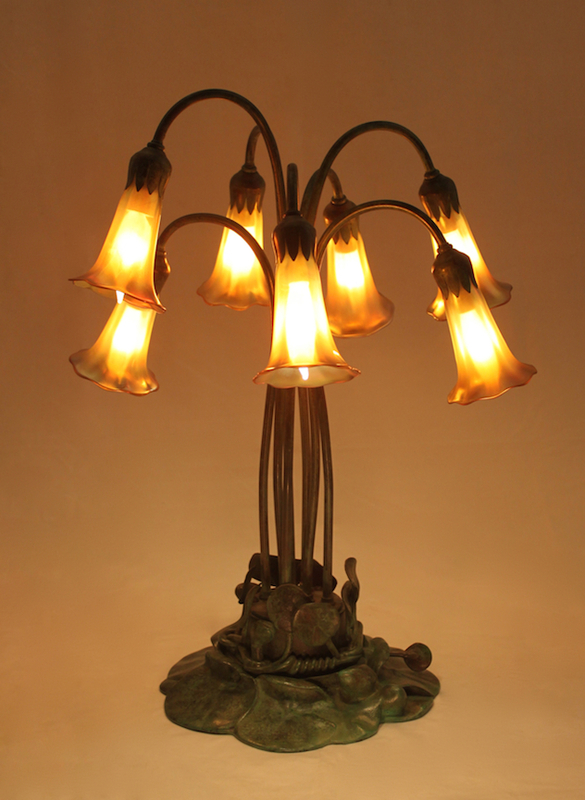 Even the light bulb was incorporated into the design, forming the stamen of each blossom.